Mr. Joan Soler is our Business Development Manager. Joan is a qualified lawyer in Spain. He has been awarded an LL. B (law degree) from the UAO CEU University in Barcelona. 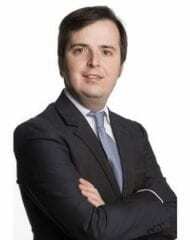 He is also an associate lecturer at UAO CEU Barcelona University in Maritime law. Joan advises our clients in the Spanish market in maritime, transport and customs law, logistics & international trade. He speaks English, Spanish and Catalan.